Loaded with 300 mg of calcium! 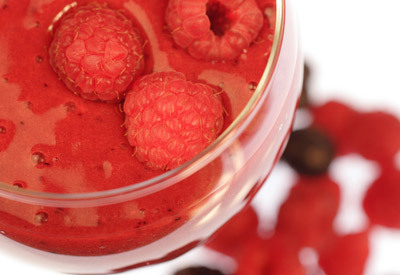 Place berries, sorbet, milk and honey in a blender container; cover and blend until smooth. Pour into glasses and add fresh raspberries if desired.